Your water pump is the heart of your Volkswagen’s cooling system. It is located in the engine compartment. The water pump circulates coolant throughout the engine and radiator. The purpose is to keep the engine at the right operating temperature. The pump creates enough centrifugal force to draw coolant out of the radiator and then circulate it throughout the engine. Coolant leaking from the water pump weep hole. Whining sound from the water pump. The pulley wobbles when the engine is running. Why Get an OEM Replacement Water Pump? 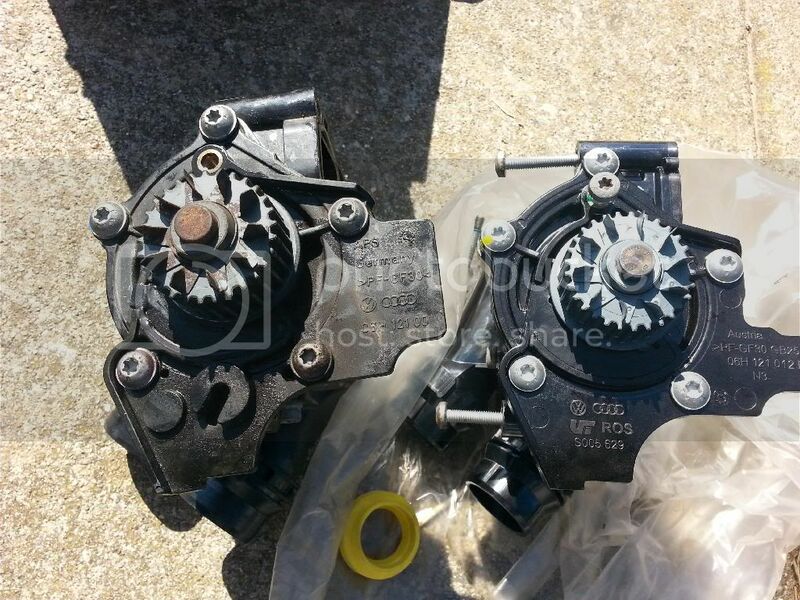 If you’ve determined that your water pump is indeed bad, you’ll have to replace your water pump. Many aftermarket water pumps are built with universal components such as impellers and bearings. Volkswagen OEM water pumps are built to specific criteria for VW model. Often times with aftermarket water pumps, the quality is questionable. Many aftermarket water pump manufacturers use low-quality materials to cut corners. If you buy an OEM water pump, you don’t have to worry about ending up with a low quality part. All OEM parts are made with high-quality materials. The right OEM parts are so much easier to find. While looking for an aftermarket part, you’ll have to do tons of research. You'll really have to dig into the brand and fitment to make sure you’re buying a good water pump. The pump needs to fit your Volkswagen properly and perform well for a long time. With OEM parts, quality, fitment, and longevity are guaranteed. You just have to look up your Volkswagen in our catalog to find the right water pump.